Here we will introduce you to the different sections of DrMiller.com and what they have to offer you! Feel free to watch the video introduction, click on one of the sections to jump to a specific description, or enjoy reading down the entire page. Here on DrMiller.com you will find a wealth of information and recorded experiences produced by Dr. Miller. The Welcome Letter offers a general overview and Mission and Vision describes our long-term objectives. Meet Dr. Miller is a more in depth look at the originator of the theories, tools, and techniques you will find here and Testimonials & Professional Endorsements provides a glimpse of how his work has impacted the world. Emmett Miller, MD is the primary source of everything you read here on this site. He is personally responsible for the choice of the material and the perspectives presented along with it. Read the biosketch, the more in-depth Emmett Miller Story, and Training & Resume to learn more about the man and his history. Also in the sidebar menu on the left side of the screen you can learn about his personal mission and vision from his Open Letter, see Dr. Miller in action in the Videos, and discover the impact he and his work have had on patients, clients, and health professionals at Testimonials and Endorsements. Although much of the information at the Learning Center will be of value to even highly skilled meditators, health care professionals, and coaches, we will begin with the basics – an introduction to the ideas that are foundational to Dr. Miller’s work. Although there is, considerable overlap among them, there are four primary threads for you to explore, at your own speed, in whatever order you prefer. Welcome to the new gallery of Dr. Miller products! Now you can browse around by category or search for a specific product easily. Many of you have asked that my CD’s be available to download and I’m happy to say that now many of my best selling titles are! We’ve also developed the Dr. Miller Healthy Living Suites, which features a carefully selected set of my programs related to specific needs as a comprehensive package for all around wellness. On this site you will find a wide assortment of products designed with your mind in mind. We think you will find them indispensable for deep healing, personal growth and global transformation. Give them a try, all products carry a no risk 100% money back guraratee (less shipping). You must be satisfied. Dr. Miller has been acclaimed as a master speaker and workshop leader. His seminal trainings at the Esalen Institute in the 1970s spearheaded the development of modern Mind/Body Medicine. 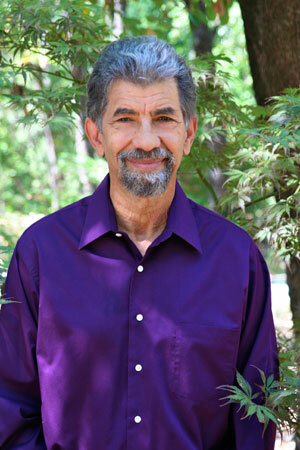 He has extensive experience in addressing audiences of all types, from the American Medical Association to Stanford University graduate students, and from major corporation executives to music and dance therapists. Dr. Miller has appeared many times on national television, led hundreds of intimate weekend workshops, and has spoken to thousands at national conferences of medical and psychiatric professionals. He lectures at numerous universities and medical schools, and has appeared on many national TV shows, including Sally Jesse Raphael, Regis Philbin, and 20/20. Attending a Dr. Miller seminar or workshop is unique-in that it is not just an intellectual experience; you do not simply sit and be lectured at. Dr. Miller guides audiences to experience the states of deep relaxation and the imagery tools he discusses. Many people find their symptoms are relieved during these experiences, and often profound life changes proceed from one of his guided imagery experiences, which incorporate music and movement. Whether you are just beginning your healing journey or are well on your way to total well-being, you will find a wealth of information and recorded experiences here to support your efforts. You’ll learn ways to optimize health and performance for yourself, friends, or clients/patients as well as how to apply these tools at a family, community, or global level. You will also have a chance to comment, and help us deliver an even higher quality of service. Our goal is to provide the information, inspiration, and wisdom you need from sources you can trust. 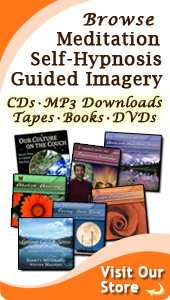 Whether you learn best by reading, watching videos, or listening to podcasts and guided meditations, you will find what you need at DrMiller.com. To stay abreast of the frequent postings here, subscribe to our free newsletter, and get your free gifts. You will find articles by Dr. Miller, conversations with remarkable people, free meditations, and audio and video recordings for self-healing. In addition to simple, practical tools for living a better, healthier life, Dr. Miller also writes in-depth articles exploring other relevant issues. You will see how the holistic (systems) approach reveals important truths and connections from the personal to the planetary and how art and science can provide the questions and answers we really need. Here you will find Dr. Miller’s breakthrough ideas on what he calls “New Paradigm Thinking,” “Global Healing,” “Collective Intelligence,” and spiritual attunement. The goals of treatment include treating the symptoms of the illness or disease as well as its deeper source, which often lies in dysfunctional thoughts, emotional states, relationships, and behaviors (e.g., addiction). This involves empowering the patient to take charge of her or his life, eliminate current imbalances (healing), sustain balance (preventive medicine), and perform optimally in all activities. Part of this involves developing positive patterns of diet, exercise, sleep, and relationship with the environment and the people in it. Dr. Miller also offers the benefit of his more than 40 years of practicing holistically. The experience, knowledge base, and wisdom gathered help bring his patients to a deeper understanding of how mind, body, emotion, and spirit can work in harmony to produce healing, balance and wellness in their lives. His aim is to provide self-applied mindtools with which to bring this about and to help avoid other imbalances and illnesses in the future.